Apple stopped supporting the first Generation iPad with the iOS 6.0 update, which leaves the device stuck on the 5.1.1 version of the operating system. 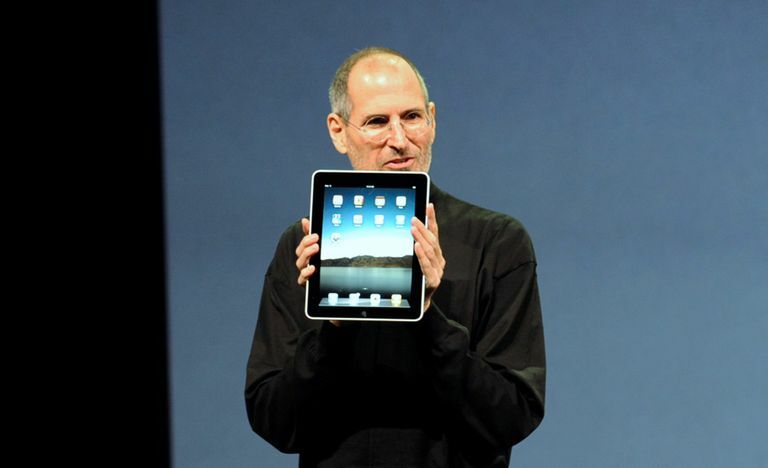 But this doesn't mean the original iPad is now a paperweight. There are still many good uses for a 1st Generation iPad, including watching Netflix and playing casual games. The trick is getting apps that only support a later version of the operating system on the first generation iPad. This won't work with all apps. Most apps only support a newer version of the iOS operating system, so the current version of the app won't work on the original iPad. There's a way to get an older version of the app onto your iPad, but for this to work, there must be a version of the app that supports the older operating system. The first thing you can try is downloading the app through the App Store on the iPad. In theory, this should work, and for apps that have an original iPad compatible version available, the iPad should prompt you to download the older version. At this point, you can simply confirm that you want to download the old version and be done. But in practice, this doesn't always work. However, there is a neat trick that will help you get over this App Store hurdle. The trick here is to go around the App Store to make the purchase and only use the App Store on the iPad to download the already purchased app. We do this by using iTunes on our PC or Mac. Unfortunately, Apple removed the App Store from iTunes with the most recent versions, so we'll also need an older version of iTunes. If you are running iTunes version 12.7 or newer, you will need to download a special version of iTunes with the App Store included. Apple makes this special version available on their website at https://support.apple.com/en-us/HT208079. Once downloaded and installed, you will have access to the App Store via the iTunes app. If you are using Windows, you will first need to remove the previously installed version of iTunes before installing this version. "Purchase" the app in iTunes on your PC or Mac. This is actually very similar to downloading apps on your iPad. Once in iTunes, go to the "iTunes Store" and change the category on the right from "Music" to "App Store". The screen will change to become very similar to the App Store app on your iPad. After you click the "Get" button or the price button, the app will download to your PC. You do not need to hook your iPad up to your PC for this next part to work. The iPad allows you to download any previously purchased app, so you are free to delete apps and then download them again later when needed. In this instance, we are simply going to download the app we just purchased on the PC. Go into the App Store app, choose the Previously Purchased Tab and locate the app you just downloaded on your PC. You can tap the cloud button next to the app to download it onto your iPad. The iPad may prompt you with a message telling you that the app is not supported on your version of iOS. (If it doesn't, the app already supported the 1st Generation iPad). If there is a version of the app that supports the original iPad, you will be asked if you want to download a previous version of the app. Give the iPad a resounding Yes! to download a version of the app compatible with your iPad. This trick won't always work, so it is recommended to only try this with free apps like Netflix so you don't waste money trying to get an app that won't work on your iPad.